The agility tournament in Weinzödl/Graz was a compulsory program in our calendar. 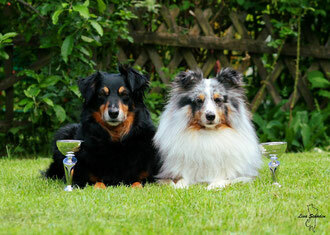 Jack and Pearl reached the 2nd and 3rd places in the LK1 medium and won two trophies. 2.ÖGV Cup Süd 19.05.2013 LK1 medium A-Lauf 0 - V 2.